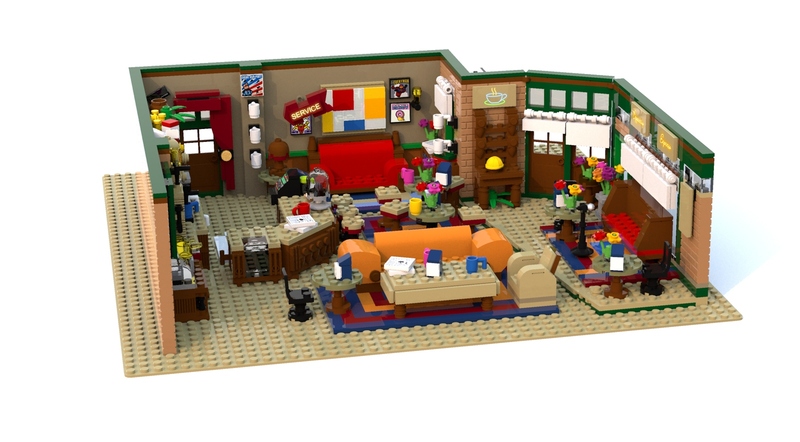 For today's 10K Club Interview, we're headed to France to hear from Aymeric Fievet (aka Mric76) who designed and submitted what is likely to be everyone's favourite TV coffee shop, namely The Central Perk Coffee of Friends. From Phoebe and her guitar (surely about to play "Smelly Cat" to the whole gang chilling in the sofa's enjoying their drinks, Aymeric's submission captures all the iconic moments. Please help us congratulate Aymeric for his big achievement, in the comments below. I live in the north west of France. In the Normandy region. I have been working in the computer industry for 10 years. 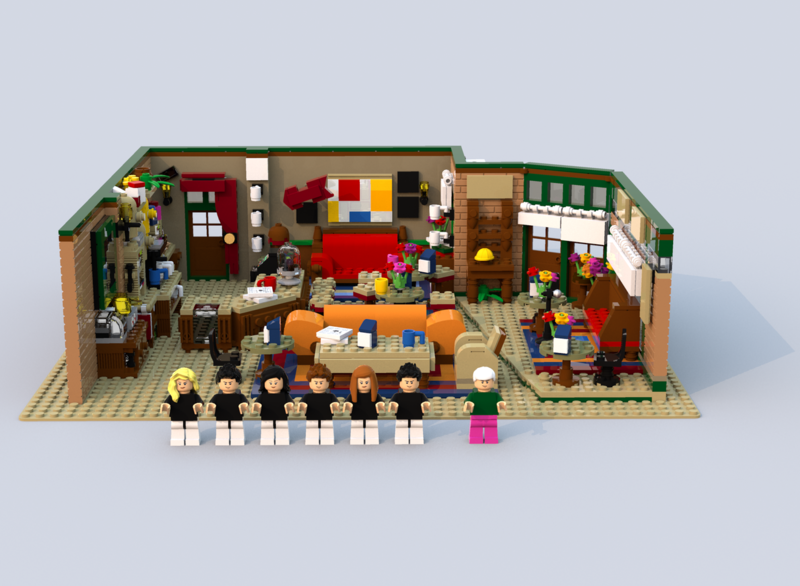 I LEGO as my hobby :-) I am also a great cinephile - passionate about series, movies and cartoons. How and when did your interest in LEGO come about? I've played with LEGO bricks from a very young age. From my childhood to my adolescence, I had the pleasure to collect many sets, all as attractive as each other. Nowadays my collection is evolving, and I am particularly interested in the Collectable Minifigure Series. I don't have a favorite set, but the one that stays in my heart is the 6991 - Monorail Transport Base. I have very good childhood memories about this set, because it combined my two favorite activities: the circuit and the space universe. The designer who inspires me is Jason Allemann. I like everything he does. His creations are very technical and very successful. He does not hesitate to share his editing techniques and I thank him. To inform me and inspire me I mainly consult groups on Facebook, Instagram, and I visit Hellobricks' website. The challenge to make this set was that it gets as close as possible to the original. For this, I had to visualize passages of the series to allow me to recreate in as much detail as possible. Everything from the furniture to the characters. How long did it take to complete the model? Did you finish it fairly quickly, or did it take a long time? After finding the necessary references, the assembly of this model took me about a week. The set was changed several times during the voting period. I then took a lot of time to design the 7 characters and find the good clothes for everyone. I can't to explain my feelings when I reached the 10,000 votes, it was a mixture of joy and pride. I hurried to tell my wife and children. My 18-month-old baby did not understand, but she smiled at me when I told her the news (she must have been happy for me :P). On the other hand, my 4 year old son understood everything, and I saw the pride in his eyes. Regarding the time it took to reach 10,000 supporters, I don't have the exact figure, but I had to put about 1 year and 6 months. The construction, accessories and characters included uses about 1750 pieces. My favorite LEGO Ideas project is the Old Fishing Store. 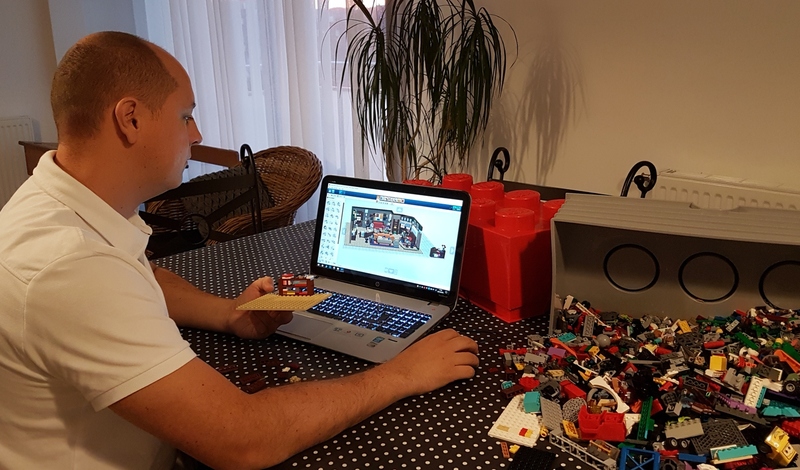 What attracts me to the platform is that it gives you the opportunity to put your imagination in the service of the LEGO Group. 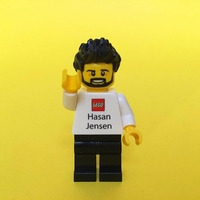 If your idea pleases, LEGO concretizes your dream: see your name associated with your favorite brand! Moreover, it is playful and easy to use. It's always a pleasure to discover new creations every day. I also like the recent contest section that allows you to win prizes. The advice I could give to someone who wants to upload an idea isn't to doubt yourself and to ensure quality photos because it is your best ad. Know that this dream is possible.